Are you as cheap as I am? Look no further, here are plenty of places to spend your money! Who doesn’t love a bargain? I sure as hell do, and video games can get pretty pricey. That’s why I think that it’s important for you and me alike, to have a handy list of websites that you can fall back on for Sia’s famous “Cheap Thrills”. So without further ado, here are eleven places that every gamer’s wallet with thank them for knowing, where you can find the best games around, for the lowest prices in town. Let’s start with one everyone knows. Get it out of the way, so to speak. If you don’t know about Steam, you should really consider living under a rock with better Wifi. For variety, nowhere is better, and there is a good reason why Steam is the largest online games market. Steam not only has constant specials (daily deals, promotions, etc.) for many different games of any and all genres, for anything up to 90% off, but throughout the year there are several big sale events, where there are mass price reductions across the site. I have a few games in my Steam library that I have never played, seven in fact. Not very impressive, I know, but if I had a penny for each of these, then with Humble Bundle, that seven pence could pay for a large chunk of 5 or more games. Paying what you want for some truly fantastic (and a few crap) indie games is about as fair as a deal gets, but what some don’t know, is that the Humble store has some great discounts on individual games. Like Steam, Humble Bundle sells AAA titles and indie games alike, with promotions and price cuts up to (and sometimes even beyond) 90%. 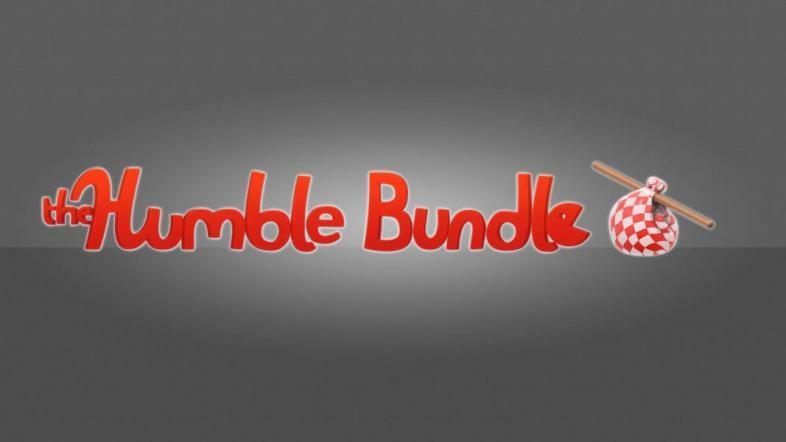 Humble Bundle even support Steam integration, as well as uPlay and DRM free titles. Keeping classic gaming alive is Good Old Games (or GOG, if you prefer). GOG found their niche by creating front-ends for old games that don’t work with modern operating systems, and selling them for pretty much negligible prices, allowing gaming fans to replay such classics as Fallout 1, Duke Nukem, Doom (not the new one), etc. on the cheap and easy. Now, GOG sells all manner of games, from indie to AAA, with no DRM, and frequently have extra sales with price gouges up to 80%. This is, of course, on top of the normal discounts. This one is more symbolic than literal, Gamestop and other high street retailers are still fantastic places to buy video games. Not only do they themselves have specials and promotions on (see the link below), but there is nothing wrong with buying a used video game, for a fraction of the retail price. One of the best things is that you return them if you don’t like them, or are one of those nutters who finishes them super quick. So check out your local retailers, and keep in mind that places like Gamestop are still viable options for fleshing out your games library for less. They’re selling DOOM brand new for less than £30, which is cheaper than Steam. Whilst they haven’t got the options of the digital retailers, due to the fact that they only stock physical copies, how bad can they be? Chrono is a very interesting concept. One game, one price, every day. Or sometimes a bundle. But usually a game. There isn’t much to say about Chrono, except that it’s worth dropping in every day, because they sell a different game, and at time of writing, I could be saving 62% off the purchase of the Bridge Constructor Bundle. It could be any game, and it could be any price. GamersGate (not to be confused with the social media snafu that was/is gamergate) is a standard video games retailer, along the lines of GOG or Steam, who just happen to have some very good offers. You can buy full releases here (digitally) for anywhere between £0.50, and £50. Currently, they have 98 deals on, so if you’re considering buying that next AAA title, and can’t get a good discount anywhere else, try GamersGate. They might just have it for cheaper. Groupees is a bit like Humble Bundle – pay a little, get a lot. Except you can pay less at Groupees, if you so desire. You get the games, of course, but you can also get comics, soundtracks, and other goodies. There are no locked features, either, if you pay the minimum, you get everything. Or you could pay more, and support indie artists and content creators everywhere. This site isn’t as evolved as others (Humble Bundle, ahem) but it is promising, and for your money you get a helluva lot. Why not check the bundle if you’re bored? You could end up with games from all denominations, puzzle, adventure, simulator, you name it. Hopefully, you’re starting to notice a pattern. Bundle sites are CHEAP. They’re dirt cheap. That’s why so many people have so many games that they haven’t looked at twice. Bundle Stars is no exception. Like any other Bundle Site, you can get more for your money by buying in bulk. However, Bundle Stars (like Humble Bundle) does have a separate deals section, where you can find loads of bundles, loads of individual games, and even DLC. Bundle Stars does win the price for biggest discount, though. If you want to buy the Sims Mega Bundle (no, not those sims) you can save 98%, and buy £74.08 worth of games for £1.39. That’s a saving of £72.69! You’d be mental not to. Another list item, another Bundle Site. Cubic Bundle is interesting though, it’s more than just a cheap games website. Cubic Bundle has a few extra caveats with the bundles, and certain conditions that lead to prizes, like a game itself. Not only that, but Steam Trading Cards are a big part of the deal, and if you have nothing better to do, you could buy a load of these games, complete them all, then sell the cards on the marketplace, effectively getting all of your money back. Don’t expect to see any massive titles on here, but for $1, you get plenty of new digi-toys to play with. And you may find the next indie-darling before anyone else. Playfield is NOT a bundle site, no sir. Here you can buy honest to goodness AAA titles for a fraction of their original price – a fraction like, 17%. I did tell a little bit of a lie, though, because you can buy ‘bundles’, but they’re just franchise collections, etc., and they’re sure as hell cheap. Something that particularly endears me to Playfield is that you can buy Resident Evil 4 HD Edition there, for £3.74, but that might not be as appealing to you, so luckily they have plenty of bargain games for you to peruse at your leisure. No daily time limits here. Save the best till last, right? Well, as a reward for everyone still reading, here’s G2A. G2A is not very well known, however the prices are quite often fantastic. There are weekly sales with discounts up to 80%, and random key purchases, as well as all manner of gaming content (not just games). There is full Steam support, and varied payment options. Whilst there isn’t much to distinguish G2A from other websites, it does have low prices, it does sell AAA games, and it does it well. Definitely somewhere to check before you buy, and the risk takers out there should definitely look at the Random Steam CD-Key purchases (which G2A promise are ALL quality). That’s the list! Whilst I’m sure there are more sites out there that you may prefer, a list of all of them would not make for a good read, and people only have so much money to spend. With that being said, happy buying! Are You Broke? Or Just Cheap?